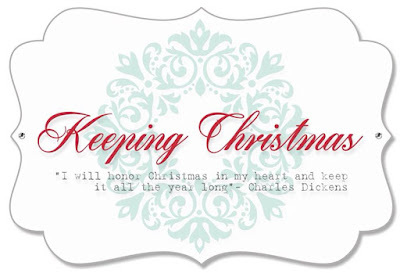 Welcome to the Keeping Christmas blog hop for March. This card was pretty quick to put together and would be easy to make multiples of. I cut the DP into rectangles, the top one slightly smaller than the bottom one. The sentiment is stamped and popped up with foam tape. I die cut some greenery from the same paper pad then finished with some gems. 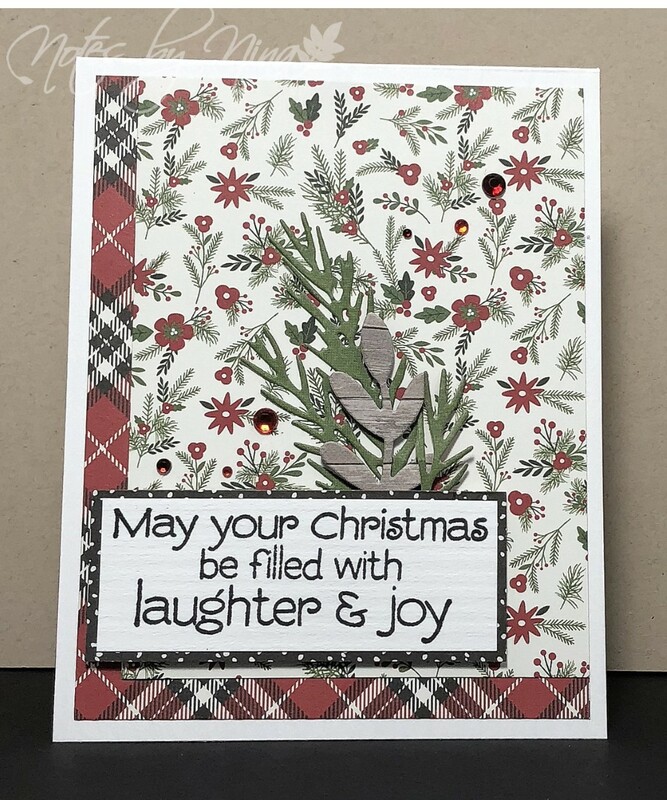 Supplies: White cardstock, Designer Paper - Carta Bella, Hero Arts - Jolly Holiday Wishes, Echo Park-A Perfect Christmas die set, gems. So cute! Those sprigs of greenery look so cute popping up from the sentiment! Your layering of the papers is perfection!! 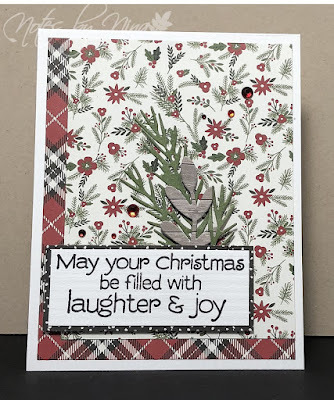 Quick and simple layering projects, got to love 'em! Beautiful! Oh, I love how you tucked the greenery in behind the sentiment. Such a pretty card! The greenery looks real, adding a freshness to your card. You do Festive so well!